The Journey is designed to encourage each man to know that they are not alone and that they have potential for Kingdom impact as an ABLE* man. Men will commit to a weekly meeting with a core group of brothers to grow in their relationships with each other and with the Father. This commitment will include a weekly reading assignment, showing up for every possible weekly gathering, and choosing to walk in community with this brotherhood. We will meet on Thursday mornings from 6:30 to 8:00am from February 7 - April 25 in the Uptown Auditorium. We also have a Wednesday night option for men unable to join us Thursday mornings. Watch this video for a preview of the focus for the Winter/Spring Journey. For more information, email Jim Hughes. 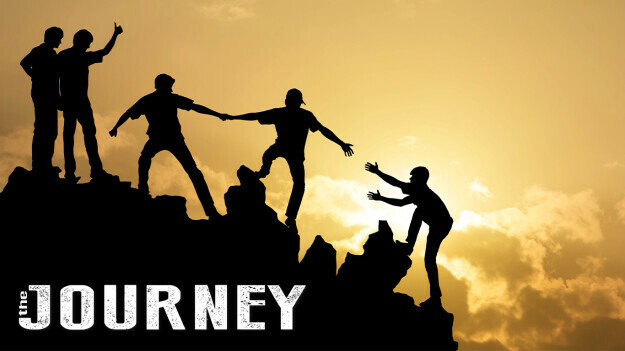 Click here to register for The Journey. * We seek to be a people who ABIDE in Christ to BUILD relationships and LIVE the gospel with EVERYTHING.